Each month, new research finds another component to bee health which conventional beekeeping has ignorantly trampled on for many years. In this case, the routine application of antibiotics in sugar feeds by commercial beekeeping is likely to be making bee hives weaker. Recently reported studies carried out by USDA-ARS, describe a newly discovered bacteria Parasaccharibacter apium, so far found only in honey bees and their hives, that appears to give honey bee larvae a significantly better chance of surviving to become pupae. In laboratory experiments designed by Corby-Harris, bee larvae were fed either P. apium-spiked jelly or a sterile control jelly. The group fed P. apium had a 20-percent better survival rate in the first trial and a 40-percent better survival rate in the second trial. In other recent research 1 it has been shown that each component ( bees, comb, propolis, honey, and stored pollen) of the hive has its own unique microbiome. The P. apium is one such example of the complex bacterial communities that work in balance to create healthy hive. When a hive is stressed or pushed outside its natural state, the microbiome becomes unbalanced and the hive weakens. "Almost all commercially available plastic products we sampled, independent of the type of resin, product, or retail source, leached chemicals having reliably-detectable EA [endocrine activity], including those advertised as BPA-free. In some cases, BPA-free products released chemicals having more EA than BPA-containing products." Advocates of plastic foundation comb, used for its convenience, argue it has been used for years and works. There are many things that have been done for years on bees that 'work' - sugar feeding, antibiotics, drone reduction/culling, artificial insemination, miticides, queen wing clipping, swarm control, thin walled hives. These are designed for short term convenience, cost saving and extra honey production. The long term cost of all these practices is bee health. The sky is not falling because beekeepers use plastic, however there is accumulative price to pay for all these conveniences and the true long term cost is rarely accounted. Wax is free, sustainable, biodegradable and supports the microbiome of the cell and the hive. The production of wax by bees is one of the few industries that enhances the environment the more it is produced. Bees love to make it if given the chance ... it's what they do. Let them make wax. 2 - Walsh, Bryan (2011-03-08). "Study: Even 'BPA-Free' Plastics Leach Endrocrine-Disrupting Chemicals"
I've wondered about plastic combs ever since I heard that people used them. They just don't seem like they belong in a hive, yet people use them so frequently. Do you think the chemicals that are leached could be harmful to people who consume the honey from plastic combs? That would be big news. When I first started beekeeping, it was for the purpose of having something to barter if things got really bad, but as I found out more and more about the abuses that were going on, I sort of gave up on the honey part of it, and opted for being more of a bee guardian. 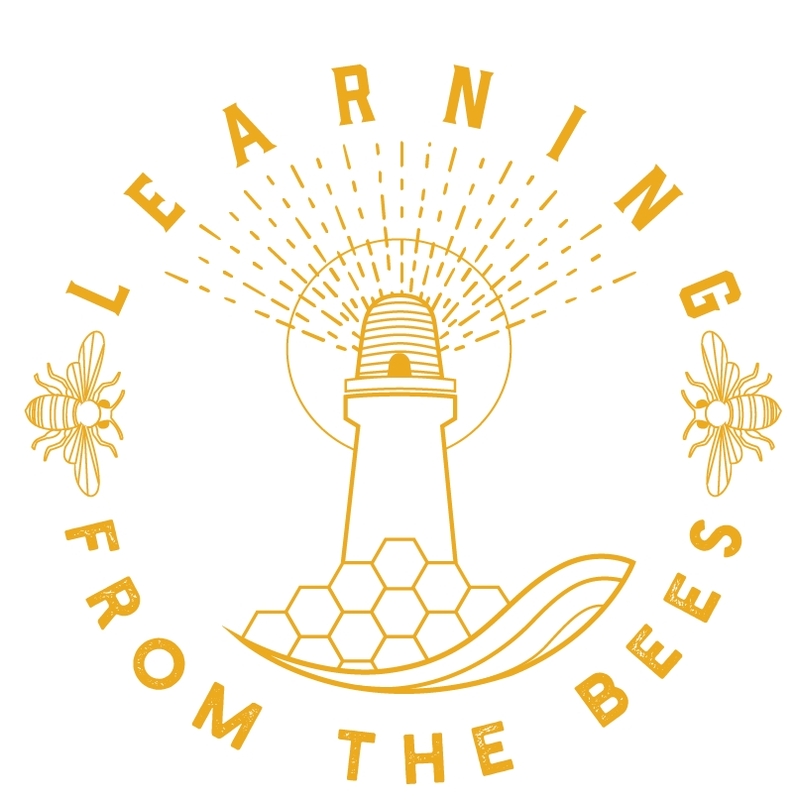 Attending bee clubs has been a real disappointment because they seem to be caught up in the maximum honey production mentality, which includes medicating, mite poisoning, and in general, many other interventions. Nearly all our food is wrapped in plastic nowadays, so it's a much smaller story than that. Most endocrinologist would say they we seeing more problems as our world becomes more toxic and stressful. As just about every function we have is connected to the endocrine, it is an important issue. I would not be surprised if it becomes a more common public topic in the next 20 years. I don't know of studies on bees with these toxins, but it seems wise to avoid when there is such a wonderful free alternative.